Create a versatile waste collection system that fits the demands of your waste management's need with these 32 gallon recycled plastic waste receptacle components. Made from recycled plastic polyethylene, these waste receptacles are manufactured to withstand the harshest environments. All components will not fade, rust or crack; making them ideal for use outside as well as inside. 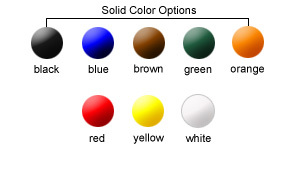 All recycled plastic receptacle components are available in the color options as shown.